Every business owner with a website is looking for ways to get noticed in the search results. Today, there are loads of tactics to rank well as a local business, but there is no silver bullet: as with most SEO issues, this is a combined effort. 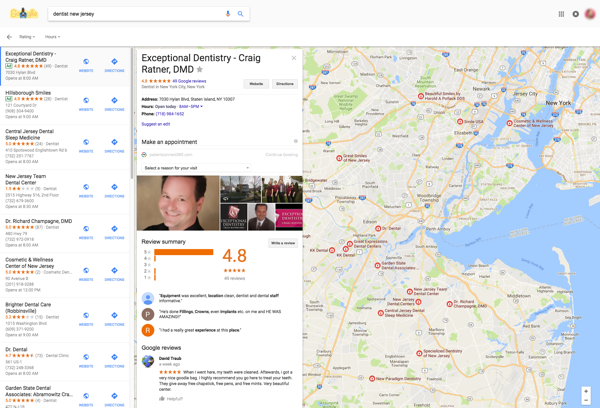 One of these pieces of the local SEO puzzle is Google My Business, a dashboard for managing listings. But what is it exactly and why is it so important for local SEO? My Business is Google’s one-stop shop to manage how your business will look and perform in the search engine. It is an essential tool to find out and adjust how your site shows in Maps, the Knowledge Graph, Google+ and organic search results. According to the 2017 edition of Moz’ Local Search Ranking Factors Survey, Google My Business continues to be the biggest driver of local SEO success, with quality links coming in at a close second. You can manage your business listing by adding NAP details, opening hours, photos et cetera. In addition to that, it is possible to manage the reviews your customers leave behind. As you know, reviews should be a key factor in your local SEO efforts. It’s critical to remember that this is not a set it and forget it type of thing. Things chance, your business changes. Keep everything active, monitor reviews and stay on top of things. It’s frustrating if your listing doesn’t perform as well as you’d like, but keep putting in the hours, and it will work. 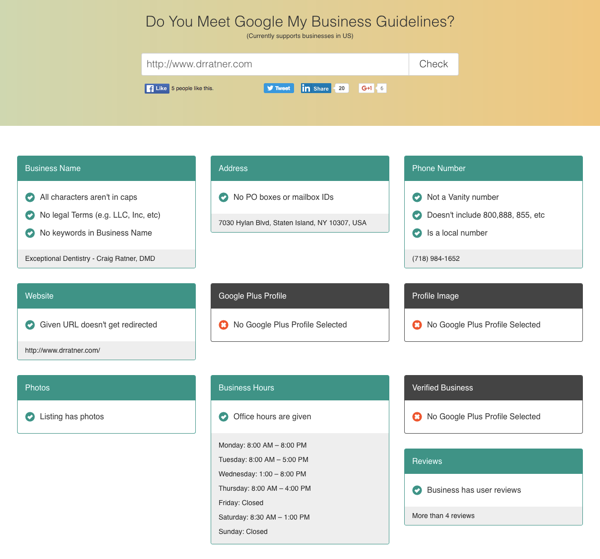 US businesses can check their listings with this tool by Synup: Google My Business Guidelines Checker. Google increasingly depends on structured data to find out what your site is about and which elements represent what. This is most certainly true for your business information, including the information that My Business uses. Make sure you add the correct structured data to your site. Enhance your NAP details, opening hours, reviews, product information et cetera, with Schema.org data. This will make it much easier for Google to determine the validity of your listing. Several tools can help you with this, including our Yoast Local SEO plugin. So, you should activate and maintain your My Business account, and make it awesome. But the most of your listings and to get good rankings, you must have your site in order as well. Optimize every part of it. Create local content for your chosen keyword and business location. Acquire quality local backlinks to build up a solid link profile. Ask customers to review your business onsite or on My Business. Make sure your listing is active and attractive. Dead profiles are no good.